Do not miss your chance to win. Realize the difference a Sony TV can make in your ability to discover, attack, score, or simply play your best during your favorite games. The new HDR compatible TVs produce best in class contrast, making every detail in your games more realistic. The beautiful scenery during your journey will come alive on the screen in dynamic, vibrant color. Sony's wide color technologies makes fantasy more realistic. Sony TVs provide quick response with minimal latency*1 so you can control every action in real-time. 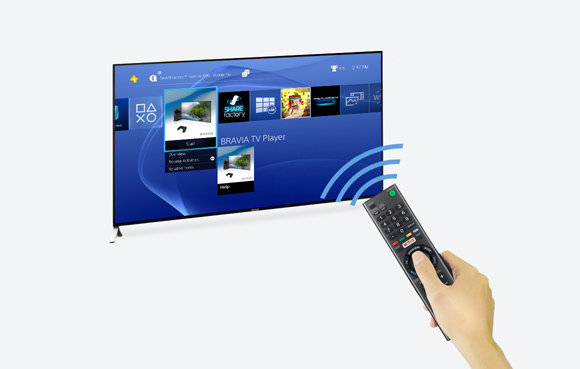 See your PlayStation® graphics as only only a Sony TV can display. The brilliant picture quality of a Sony TV shows the images as the developers intended. With Sony, your DualShock® 4 can become your TV remote by downloading the BRAVIA TV Player app on your PlayStation 4 through the PlayStation Store. You can also use your TV remote to control the basic UI of yours. Bring the immersive world of PlayStation® directly to your TV with PlayStation™ Now. PS Now lets you play PlayStation 3 titles instantly, without a need for a console, as games are streamed through the cloud. 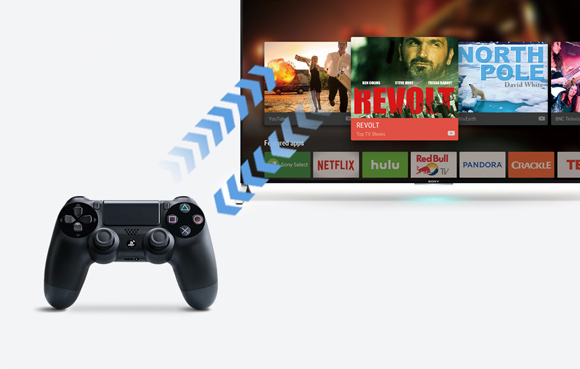 Simply connect a DUALSHOCK®4 controller to your TV and play selected PlayStation® 3 games just as you would stream TV shows and movies — no game console required. The subscription based service allows you to access unlimited play of over 100 titles. New titles will be introduced regularly for members to enjoy. Network services, content, and the operating system and software of this Product may be subject to separate terms and conditions and changed, interrupted or discontinued at any time and may require fees, registration and credit card information. 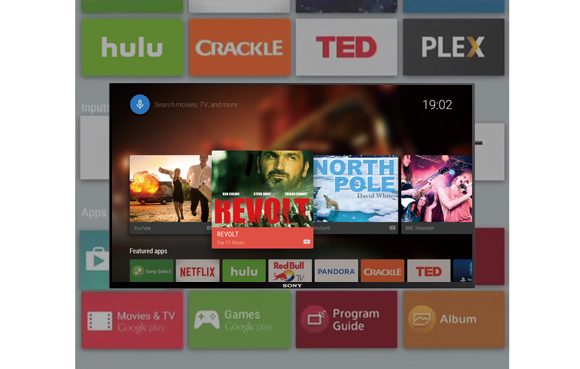 Android TV is a trademark of Google Inc.
To find more detail of Android TV of Google Inc. Click here. "SONY" and "BRAVIA" are trademarks of Sony Corporation. Network services, content, and the operating system and software of this Product may be subject to individual terms and conditions and changed, interrupted or discontinued at any time and may require fees, registration and credit card information.